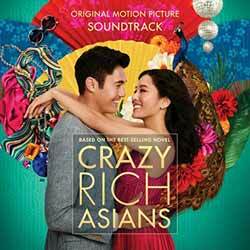 The various artists soundtrack for Crazy Rich Asians is a totally different beast to the lush, beautifully produced score by Brian Tyler. It's not a soundtrack that can truly be appreciated if you haven't seen the movie. There are numerous quirky tracks and it will act as a wonderful audio souvenir for those who fell in love with the movie. The album contains 14 songs (45 min, 21 sec) ranging from the beautiful 'Can’t Help Falling In Love' sung by Kina Grannis, to the '200 Du', which is a Chinese version of Madonna's '80s hit 'Material Girl'. It's probably not an album you'll be playing a year from now, but if you enjoyed the music in the film then this will make a welcome addition to your music library.